This is a great high quality Brazil it has a soft, nutty and nice bittersweet chocolate taste with low acid. Truly a smoooth cup of coffee! This African coffee contains a complex blend of chocolate, brown sugar, citrus with bright acidity and a floral citrus finish. Smooth, yet utterly complex, dark, robust and rich. Colombian coffee is justly renowned for its incredible coffee flavor, truly one of the finest! This African coffee has a wonderful balance of citrus acidity of grape juice, citrus lemon and plum in the cup. Cafe Vida is a sweet flavorful Central American coffee with dry acidity and a malty, fruity finish. This Central American coffee tastes of nutty caramel, almonds and subtle cocoa with balanced citric acidity and sweetness. This African coffee has a smooth soft mouth feel, with fruity berry and some nuttiness with a hint of sweet ripe cherry. Guatemala coffee has great aroma and a full, yet mellow body with a deep, bittersweet coffee flavor. This is a wonderfully balanced cup of coffee. This is a full-bodied, bright coffee that is complex and has some interesting citrus flavor, sometimes alternating with wine and spice. The aroma is rich, deeply dimensioned, and slightly crisp with citrus notes. 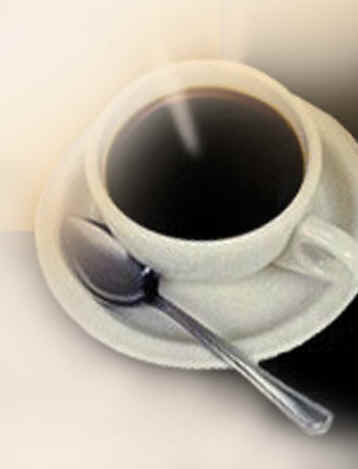 This is an excellent breakfast cup of coffee, rich and smooth. A clean, hearty taste that is rich and bold, full of dark chocolate notes with a sharp, distinctive finish. This is a true coffee lover’s delight! Citric with chocolate tones best describes this Indonesian coffee that leave's a wonderful lingering herbal aftertaste. A delicate cocoa-like finish makes an exotic treat! The flavors are richly low-toned, chocolaty and caramel with a deep, earthy aroma. This African coffee is rich, with a creamy body, and a hint of tropical fruit, raisin and complex acidity. The Peaberry bean is a malformation of the grain where only one grain grows instead of two. Our mission is to offer a variety of exceptional, fresh roasted coffees. Our coffee doesn’t sit on shelves, or in bins. Your coffee is roasted fresh when you place your order. We invite you to taste the “Fresh Roasted” Difference!